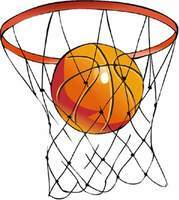 Sullivan Middle School Daily News! The Sullivan Middle School now has their own playlist on our Sullivan YouTube Channel! Click here for the SMS Daily News Playlist on the SullivanSchool300 YouTube Channel! Our 6th Grade STEM class made Hoop Gliders using a straw, index cards, and masking tape. The hoop glider that flew the furthest distance was 9.3 meters. Second place flight was recorded at 8.1 meters. 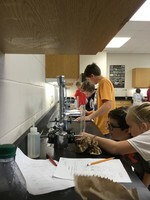 Mrs.Garrett’s 6th graders are using the lab to calculate density of irregular solids. 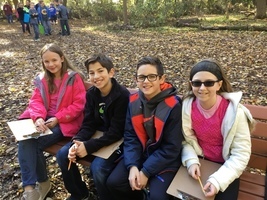 SMS 6th grade Eco Team enjoyed a beautiful competition day at the Douglas Hart Nature Center on Wednesday.